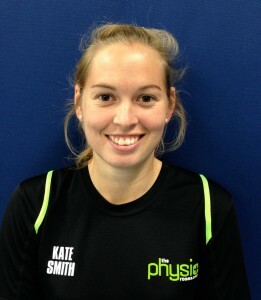 Kate Smith graduated from the University of Brighton with a BSc in Sport and Exercise Science in 2011. She then went on to achieve an MSc in Rehabilitation Science in 2015. Kate is a registered Physiotherapist with the Health Professions Council and is a qualified Sports Massage Therapist, as well as being a member of the Chartered Society of Physiotherapy. Kate has a passion for sport and played tennis to a national level, reaching a ranking within the top 10 in Great Britain for her age group. Her other sporting interests include running, swimming and hockey. She has worked with the Women’s 1st team at Brighton and Hove Albion Football Club as a Sports Massage Therapist, doing assessments and treatments with players. Kate has a background in tennis coaching and particularly enjoys working with junior performance players.Her other interests include all aspects of musculoskeletal physiotherapy, rehabilitation and sports injuries.